SINGAPORE, July 20, 2017 – Malaysia’s economic growth is expected to strengthen to around 5 percent in 2017 and inflation to moderate after peaking in March, according to the preliminary assessment by the ASEAN+3 Macroeconomic Research Office (AMRO) after its Annual Consultation Visit to the country from July 10 to 14, 2017. Led by Dr. Lee Jae Young, the mission focused on discussions around economic outlook, risks and vulnerabilities, structural challenges and the appropriateness of policy measures, including fiscal policy, monetary policy, and structural reforms. AMRO Director Dr Junhong Chang and Chief Economist Dr Hoe Ee Khor were also part of the mission. The current monetary policy stance is assessed to be appropriate. Although in the first quarter of 2017, GDP growth came in above estimated potential and headline inflation spiked up, both are expected to moderate in the coming quarters. While gross foreign reserves remain relatively ample, net foreign reserves have declined. Therefore, it would be prudent to maintain a flexible exchange rate and a tightening bias in the monetary policy stance to support the external position. On the fiscal front, the authorities’ commitment to fiscal consolidation is commendable and continuing the consolidation stance is encouraged. Significant progress has been made so far with the rationalization of several subsidies and the introduction of the goods and services tax (GST). Yet, challenges remain with regard to revenue collection, as tax buoyancy has been subdued in recent years as well as in the first half of the year, attributed to lower contribution from oil-related revenue. To meet the medium-term target of reducing overall fiscal deficit to near-balanced budget by 2020, there is also room to further rationalize government expenditures and expand the revenue base. This includes broadening the tax base and increasing the effective rate of the GST by reducing or eliminating exemptions and coverage of zero-rated items. While key banking sector indicators remain generally sound, risks remain in some sectors. This is given the growth of bank loans to businesses have been rising recently. In particular, non-performing construction loans are relatively high and rising. There are also vulnerabilities in the luxury and serviced apartment sectors, as well in the office, retail and commercial sectors, where vacancy rates are high. Despite a slight reduction in 2016, household debt as percentage of GDP also remains among the highest in the region, which requires close monitoring. Over the long-term, a more robust implementation of the structural reform agenda envisioned in the 11th Malaysia Plan 2016-2020 would be important to increase productivity and growth potential. Malaysia should continue enhancing its efforts towards restructuring its economy to higher valued-added production and more knowledge-based services to attain its ambition of becoming a high-income economy by 2020. Education and training programs should be expanded to help alleviate the shortage of skilled labor and increase labor productivity. The country should take full advantage of its existing and forthcoming trade agreements to improve efficiency and productivity, and enhance its export diversification efforts to improve economic resilience. 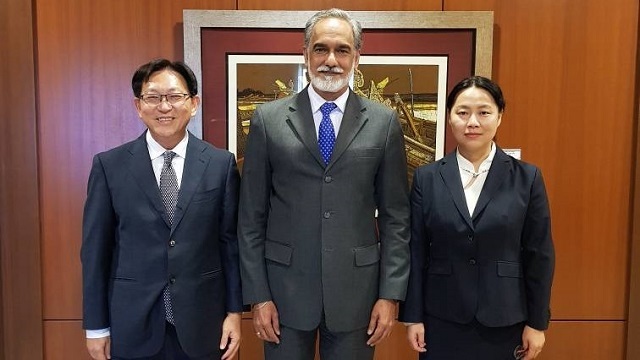 With strong support from the Malaysian authorities and other stakeholders, the visit has deepened AMRO’s understanding of the current macroeconomic and financial situation, as well as critical issues related to macroeconomic stability in Malaysia.